Apple’s upcoming flagship iPhone 8 may face a delay in its release as suggested by reports, Apple usually released its smartphones in September but this year it may take October or November to release the device. The upcoming iPhone 8 will be the most advanced smartphone made by the company yet with completely new body design including new features and specs for the users. According to reports, not only the delay in release, Apple is likely to supply the limited quantity of iPhone 8 during initial few months after the release of the device. 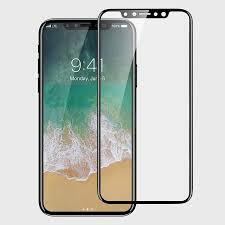 It may be due to the reasons that Apple is facing some problems in the production of 3D depth sensor of the camera, embedding Touch ID sensor beneath the screen and short supply of NAND chips could also be the reason behind the delay in iPhone 8. The new change that we could see in Apple’s upcoming iPhone is the color of the bezel of the device. Currently, all the iPhone models are coming with white bezels but this time iPhone 8 may come with having ‘black color bezel’. The sources claim that the color option in iPhone 8 will be black for the bezels. However, the reason behind using black color for the bezels are not known yet but it would surely give a new look to the smartphone and the deep black color will also make the bezels of the OLED screen less noticeable. On switching to different color bezel option it is possible that Apple is might facing some problem to incorporate white paint. So whatever be the reasons, the new bezels will add another new thing in upcoming iPhone 8. After the iPhone 6 and iPhone 6 Plus released in 2014, iPhone 8 is the first smartphone of the Apple which will come with completely new redesigned body and features. To incorporate many new features in the upcoming iPhone 8 Apple is seen to facing issues and it may lead to delay in the launch of the device and the mass production of the device will also be affected. The next-generation iPhone will also suppose to feature 3D sensing camera to recognize a face with iris authentication that will help in unlocking the device. The facial recognition camera will be located on the front side next to FaceTime camera. Apart from this, it is also expected that the upcoming iPhone 8 featuring OLED edge to edge display will come with wireless inductive charging technology. In the iPhone 8, the improved Siri will perform having latest iOS 11. Along with iPhone 8, Apple will also launch iPhone 7s and iPhone 7s Plus with improvement in features.